The ICR Graduate School (ICRGS) was an educational institution that fostered research and provided graduate-level training in fields of science that are particularly relevant to the study of creation apologetics. It was operated by the Institute for Creation Research (ICR) from established::1981 until Dissolved::June 30, 2010. Accreditation was provided by the Transnational Association of Christian Colleges and Schools through the U.S. Department of Education, and students were able to earn M.S. degrees in Science Education with minors in the fields of Astrophysics/Geophysics, Biology, Geology, and General Science. However, after a lengthy legal battle, the Federal court in Austin Texas ruled against ICR on June 17, 2010 preventing their Graduate School from offering degrees in the future. On June 25, 2010 the ICR board of directors voted to close the doors of the ICR Graduate School (ICRGS) indefinitely, effective June 30, 2010. Despite this devastating court decision, graduate level apologetics education will remain available from ICR through the School of Biblical Apologetics. The ICR offers Master of Christian Education degrees through a new graduate program that was launched in 2009, which they will continue to operate and develop. Several minors are available (Genesis Studies, Creation Research, Christian School Teaching, and Sacred Humanities). The ICR Graduate School was founded in established::1981 and began its course offerings immediately after being approved to confer degrees from the California Department of Education. The school was originally located in El Cajon, California, and until recently was accredited under the Transnational Association Of Christian Colleges and Schools (TRACS) through the Federal Department of Education. The ICRGS offered M.S. degree programs in Science Education utilizing an internet-based curriculum development platform called Moodle. The school offered support minors in the following science disciples chosen for their relevancy to the study of creation apologetics. The high cost-of-living in California (especially the cost of housing). Living expenses in northern Texas are much less. A more-central location with respect to ICR's national and international donor base and speaking engagements. Likelihood of a higher level of community support in northern Texas than in southern California. It then relocated in Dallas, Texas, and began seeking formal accreditation from that State's Higher Education Co-ordinating Board. Henry Morris passed away in 2006. Beginning in 2007, leadership of the institute and school passed to his two sons, Henry Morris III and John D. Morris. After a lengthy legal battle, the Federal court in Austin Texas ultimately ruled against the Institute for Creation Research on June 17, 2010 preventing ICR from offering degrees. On June 25, 2010 the Institute for Creation Research board of directors voted to close the doors of the ICR Graduate School effective June 30, 2010. ICR will continue the operation and development of the School of Biblical Apologetics, a Master of Christian Education graduate program that was launched in 2009. However, options remain for graduate education through ICR's School of Biblical Apologetics, which is exempt from government interference. From the year of its founding, a number of anticreation groups launched a propaganda campaign to have ICR's accreditation revoked. To accomplish this, the detractors made a number of dubious accusations, which included an allegation that the examining committee that recommended ICR's initial approval was composed of "ringers, shills, and plants." In 1986 the California legislature changed its accreditation requirements and required all degree-granting institutions to re-apply for accreditation. But in addition to a new law, the California Department of Education had a new superintendent, William Honig who sent a review committee to the school in 1988. At first this committee voted 3-2 to approve re-accreditation. But Honig wouldn't accept that, and persuaded one member of the committee to change his vote. William Bennetta, Editor of The Textbook Letter and advisor to the Bay Area Skeptics insists that the initial (1981) inspection was a sham, and that at least two of the committeemen who cast the favorable votes in 1988 were, in his words, "ringers"--a charge that Jerry Bergman rejects out-of-hand in an essay on the controversy. In any event, Mr. Honig insisted that any school seeking accreditation in California would teach naturalistic evolution and only naturalistic evolution. ICR offered a compromise of teaching at least as much about the theory of evolution as any secular school would, but this did not satisfy Mr. Honig. Yet another five-member team of site visitors came to the school in August 1989, and they voted four to one to deny the ICR Graduate School the right to operate. Mr. Honig stated as the reason for the denial the continued teaching of creationism at the school. ICR sued the State in US District Court in November 1990 following this announcement. Several members of the California legislature took exception to the State's action and even recommended that several civil-rights organizations formally investigate. In addition, several national and international scientists also voiced disapproval of the decision. Beginning in April of 1991, Mr. Honig came under investigation for a conflict-of-interest and misuse of Federal funds in connection with a business that his wife ran. It had a contract with the State that he as superintendent oversaw. Shortly before ICR's lawsuit was to come to trial, the Honig-led California Department of Education abruptly settled with ICR and the school. A writer for Reasons to Believe speculated that the March 1992 settlement was a vain attempt by Mr. Honig to forestall the investigation into his and his wife's business activities. The school was subsequently approved to operate without restriction, and indeed the State now paid the school $225,000 US to cover its court costs. 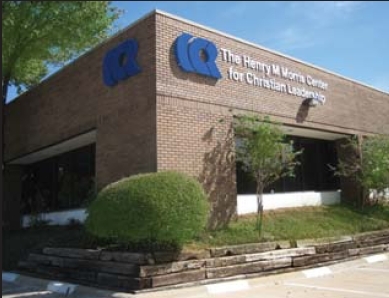 The approval was set to expire in 1995, but by then the State had recognized the Trans-national Association of Christian Colleges and Schools (TRACS) as a legitimate accrediting agency, and separate State approval was now unnecessary. Subsequently, the Texas Higher Education Coordinating Board received 230 e-mails from interested parties. A review of the e-mails by ICR staff reveals that 177 individuals sent e-mails in support of ICR's application, while 36 individuals sent a total of 43 e-mails expressing opposition. Paredes then convened a separate panel of scientists and science teachers and from them obtained a recommendation against the School. No one from the School was allowed even to make a presentation to this separate panel. In March of 2008, ICR furnished documents in response to a request from the THECB that describes the Master of Science in Science Education program offered by the school. According to ICR, the documents that demonstrate that the grad school meets and, in some cases, exceeds state educational standards. On April 23, 2008, the THECB's Academic Excellence and Research Committee held an unusual thirty-minute "public hearing" (actually a request-for-public-comment) with ten three-minute slots for interested witnesses. Following that hearing, the AERC voted unanimously to deny the ICR Graduate School's application. The next day, Commissioner Paredes formally recommended that the full Board deny the application, which the Board promptly did. In the same day, Mr. Joe Stafford, Assistant Commissioner for Academic Affairs and Research, read for the record portions of a Texas statute expressing an objective to "prevent public deception in the face of 'fraudulent' or 'substandard' college and university degrees." As with Mr. Paredes' "separate panel," ICR staff had no opportunity to respond to the obvious implied accusation of fraud that Assistant Commissioner Stafford had just leveled against the School. Recasting and resubmitting his proposal. Suing the State of Texas. In his press release that he issued after the Board's April 24 decision, Dr. Morris called attention to some questionable procedures by Commissioner Paredes, Assistant Commissioner Stafford, the Board, and its committees. On May 4, 2008, Dr. Morris placed a full-page advertisement in local newspapers all over Texas, calling attention to the THECB action and to the larger issue of whether "all scientists must believe in evolution." Beginning in May of 2008, the School pursued administrative appeals claiming unconstitutional exercise of "viewpoint discrimination". On April 16, 2009, apparently after determining that the administrative options were exhausted (the usual prerequisite for legal action), Dr. Morris announced his intention to take legal action against the Texas Higher Education Coordinating Board (THECB), its commissioner, and some of its board members, in both State and federal courts. The School is alleging interference with its Constitutional rights in the handling of its application for accreditation. The following persons were named as defendants: Commissioner Raymund A. Paredes and members Lyn Bracewell Phillips, Joe B. Hinton, Elaine Mendoza, Laurie Bricker, A. W. "Whit" Riter III, Brenda Pejovich, and Robert Shepard. The School is also suing the THECB itself in its Texas court action, and notes that THECB has a history of previous judgments against it for abusing the constitutional rights of other private educational institutions in Texas. ICR filed three separate lawsuits against the Texas Higher Education Coordinating Board citing numerous violations of civil and religious liberties, which eventually coalesced into one primary federal suit in Austin, Texas. On June 17, 2010 the Federal court in Austin ruled against the ICR eliminating the possibility for the ICRGS to legally offer degrees. This action forced ICR to close the doors of its Graduate School effective June 30, 2010. ↑ 1.0 1.1 Press Release December 18, 2007 Institute for Creation Research, Dallas TX. ↑ 2.0 2.1 2.2 Email to ICRGS students and faculty, Henry Morris III. June 30, 2010. ↑ 4.0 4.1 4.2 4.3 4.4 4.5 4.6 4.7 Bergman, Jerry. "The Religion of Vague: An Unsuccessful Attempt by the State of California to Close a College." Revolution Against Evolution, May 22, 2003. Accessed March 19, 2008. ↑ Morris, John D. "Moving God's Way." Institute for Creation Research, October, 2007. Accessed March 19, 2008. ↑ 9.0 9.1 9.2 9.3 9.4 Schafersman, Steven. "The Institute for Creation Research and It's (sic) Quest for Official Texas Certification to Award Masters Degrees in Science Education." Texas Citizens for Science, December 17, 2007; updated January 6 and January 28, 2008. Accessed March 19, 2008. ↑ 10.0 10.1 Bennetta, William. "Degrees of Folly." BASIS, February 1989 and following. Hosted by Texas Citizens for Science. Accessed March 19, 2008. ↑ Carta, David G. "As I See It: ICR Victory and Then Some." Facts and Faith, 6(2), 2nd quarter, 1992. Accessed March 19, 2008. ↑ Hacker, Holly K. "Creation college seeks state's OK to train teachers." Dallas Morning News, December 15, 2007. Accessed March 19, 2007. ↑ 13.0 13.1 Morris, Henry M., III. E-mail to supporters dated April 17, 2008; received April 18, 2008, at 0844 UTC. ↑ 14.0 14.1 14.2 Press release April 25, 2008 Institute for Creation Research. Dallas, Texas. ↑ 16.0 16.1 Haurwitz, Ralph K. M. "Creation institute's proposal rejected by panel." Austin American-Statesman, April 24, 2008. Accessed April 24, 2008. ↑ Commissioner's Recommendation on the Request by the Institute for Creation Research for a Certificate of Authority to Offer a Master of Science Degree in Science Education Raymund Paredes, April 23, 2008. Accessed July 3, 2010. ↑ Graduate Science Program Claims “Viewpoint Discrimination” in Appeal of Texas Education Ruling Christian Newswire, May 28, 2008. ↑ Graduate School Sues Texas Agency Over Academic Discrimination Christian Newswire, April 21, 2009. Accessed July 6, 2010. ↑ Our Day in Court: ICR Graduate School v. THECB et al by James J. S. Johnson Acts & Facts 39(6): p22, 2010. Graduate School Sues Texas Agency Over Academic Discrimination The ICR Graduate School is suing the Texas Higher Ed Coordinating Board, its commissioner, and several of its members for unconstitutional discrimination in their handling of the School's application for accreditation. Christian Newswire. April 21, 2009. ICR Graduate School petitions for reconsideration of its application for degree-granting authority. They include 26 "evidentiary appendices" and also copy the Texas AG on their petition, asserting that the denial of their application was unconstitutional. WorldNetDaily. May 29, 2008. ICR Graduate School loses bid for accreditation. The Texas Higher-Ed Coordinating Board's Academic Excellence and Research Committee voted down ICR's bid after the unusual step of inviting public comment. ICR is reviewing its options. April 24, 2008. ICR Graduates -- A Cause for Celebration by Christine Dao. Acts & Facts 39(7): p19, 2010. Our Day in Court: ICR Graduate School v. THECB et al by James J. S. Johnson. Acts & Facts 39(6): p22, 2010. Censorship in Texas: Fighting Academic and Religious Discrimination by James J. S. Johnson. Acts & Facts 38(5): p18, 2009. A New Day, A New Year by John Morris. Acts & Facts 38(1): p3, 2009. Where Has Academic Freedom Gone in Texas? by Henry Morris III. Acts & Facts 37(6): p9, 2008. The ICR Graduates by Henry Morris, Acts & Facts Sep 1, 2003. Creation and First Amendment Rights by John D. Morris. Acts & Facts Jun 1, 2002. This page was last modified on 28 April 2016, at 18:01.